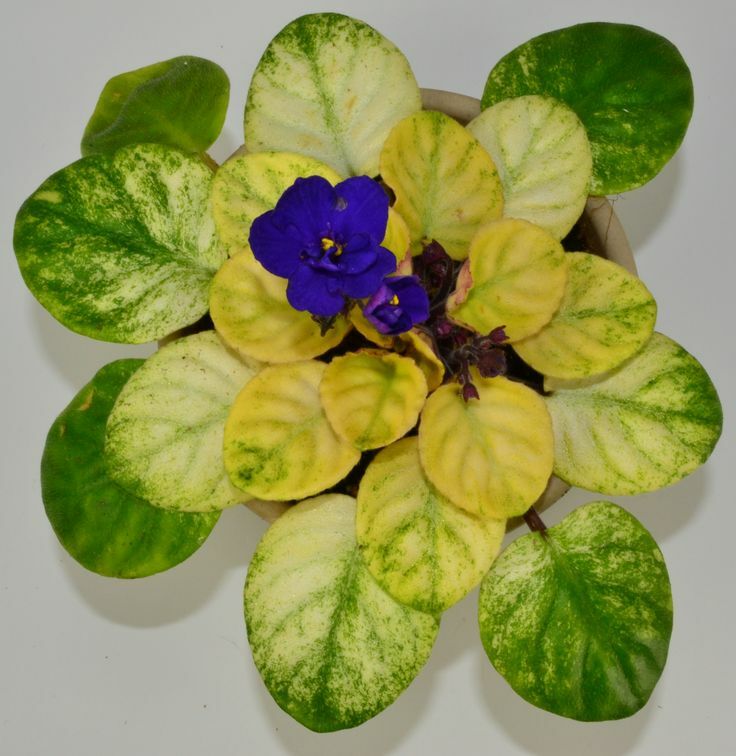 Observe the leaves of your African violet and if you notice they are thin and dark green the plant is probably not getting enough light. Keep them away from fans, floor vents or even entrance doors. They don’t like drafts or anything that would cause sudden temperature change. 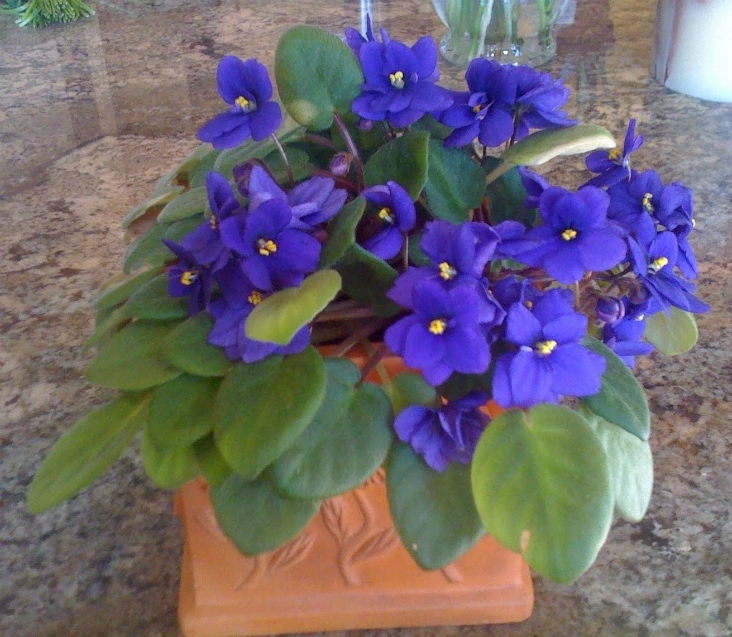 Re-pot your African violet every year. 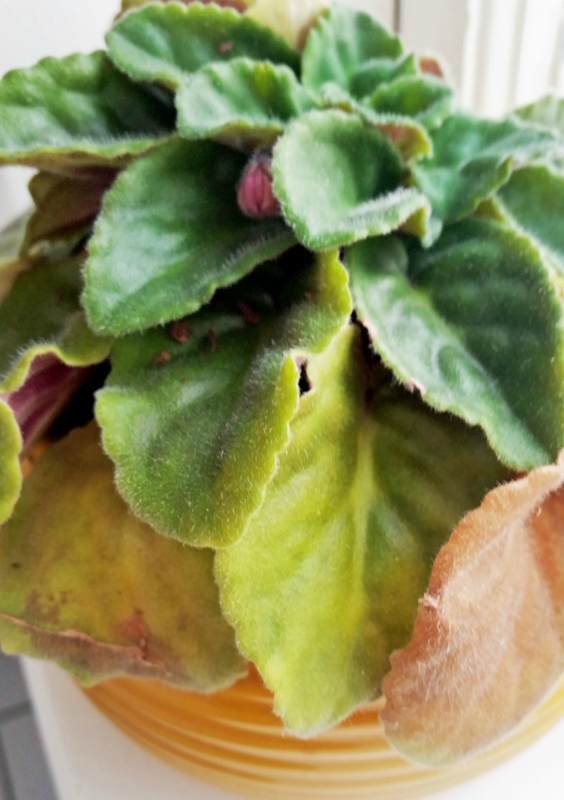 The optimal time for re-potting is after some leaves have wilted a bit. 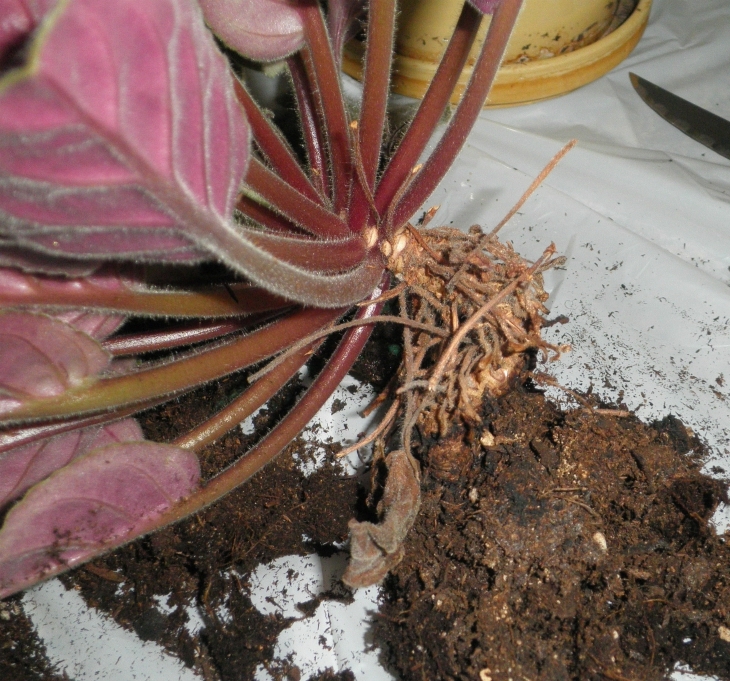 The plant grows quite fast that is why it’s really important to re-pot it regularly. 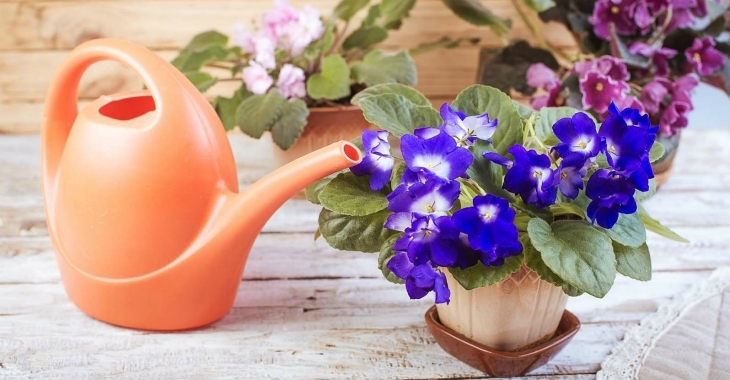 You should always use one size larger pot and new soil. 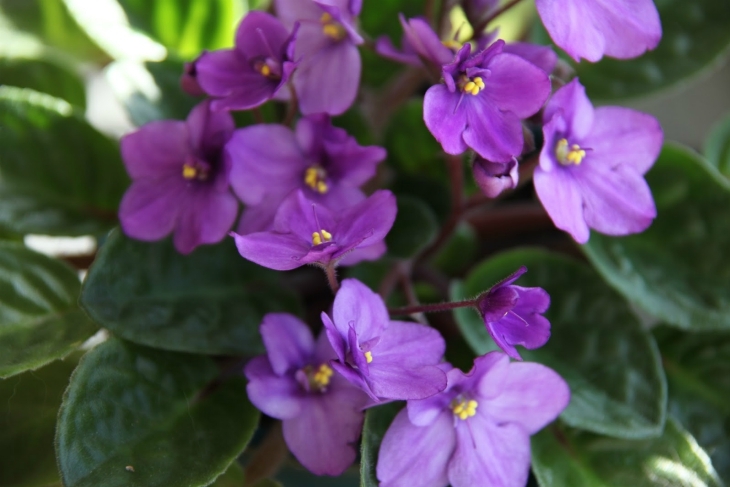 It is recommended to remove all African violet leaves that have started to decay. 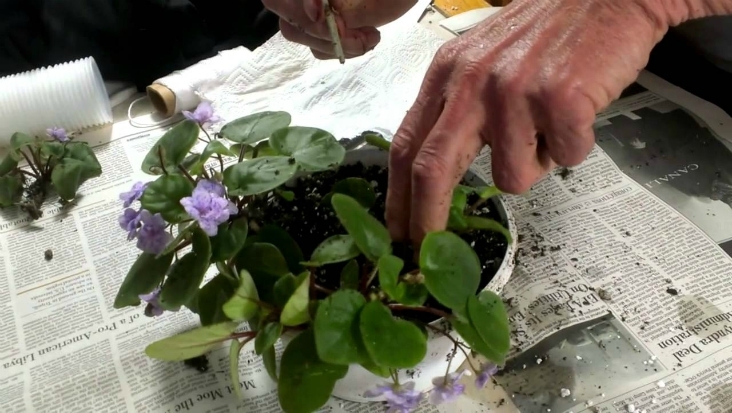 Pinch off spent blossoms and blossom stems to encourage development of new blooms. 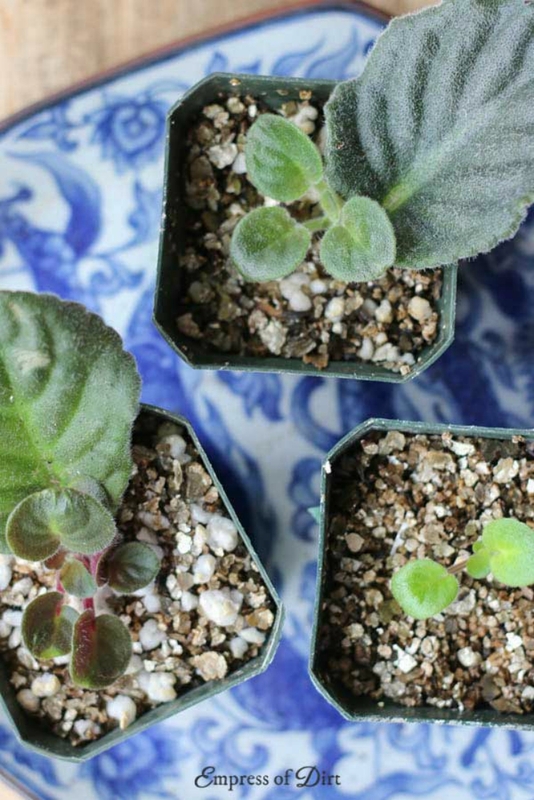 Do the same with any bottom leaves that are turning yellow. 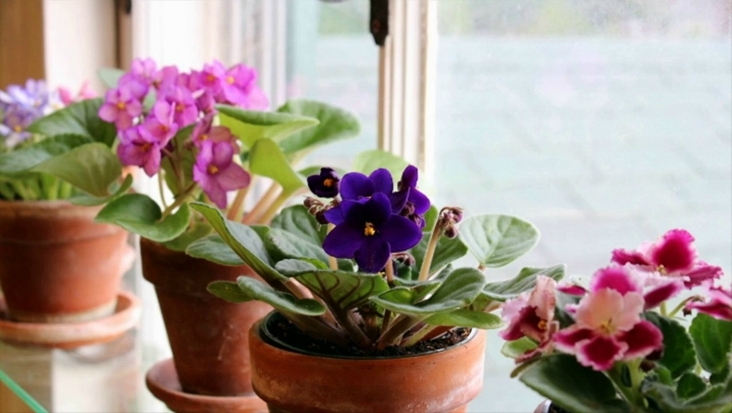 This is a great piece for getting the basics of taking care of African Violets! 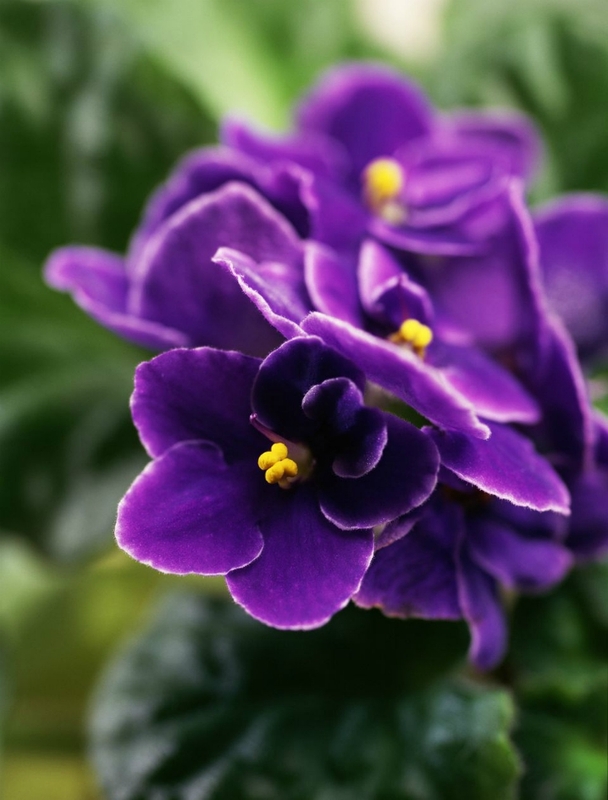 I have three African Violet and they will not bloom. I feed them and they look good, but want bloom. What my problem.